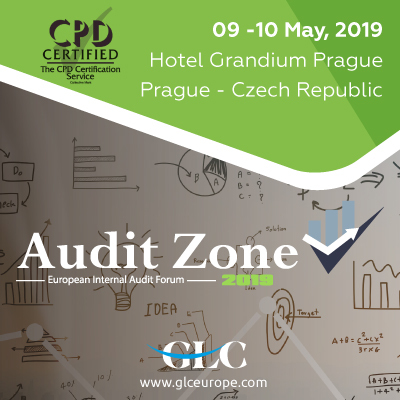 Join our cross industry European Internal Audit Forum on 9th and 10th of May, 2019 in Prague, Czech Republic! At our upcoming European Internal Audit Forum, we are going to discuss the most interesting challenges of Internal Audit. Audit Zone 2019 will unfold the solutions to the challenges that internal auditors have to overcome in order to stay efficient in a rapidly changing environment. The European Internal Audit Forum will be an amalgamation of interesting case studies, interactive panel discussions and networking sessions, with a strong focus on current issues and trends, like: Agile Internal Auditing, Cybersecurity, AI, Big Data, Robotic Process Automation, Risk Assessment and GDPR.